FINAL HOME GAME THIS WEEKEND! Jaffas supporters are encouraged to come to Edden Oval this Saturday, 11 August, for our last home game for season 2018. Lambton Jaffas(2nd) v Maitland Magpies(4th) promises to be a great match up! The Jaffas are looking to secure 2nd spot on the league table, whereas Maitland will be desperate for points to secure a play off berth, with Charlestown & Hamilton vying for the last playoff spot with them. Jaffas will welcome back Joel Griffiths to the line-up, renewing his partnership with brother Ryan, and former Jet Braedyn Crowley. Michael Kantarovski & Brad Swancott have been in great form lately. 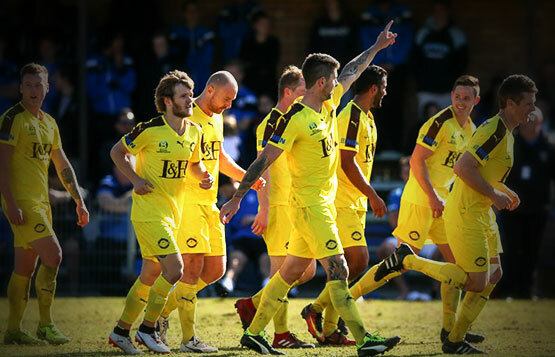 Maitland are a strong outfit themselves lead by former Jet & Melbourne City Captain Matt Thompson. Click here for a link to the current ladder. Click here to download the matchday program.